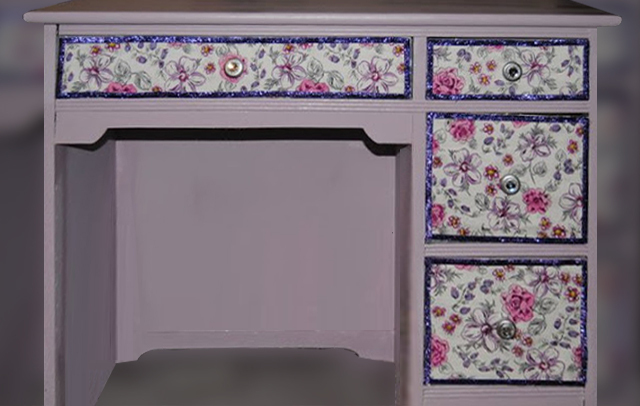 Here is a desk I did a while back for a friends daughter. 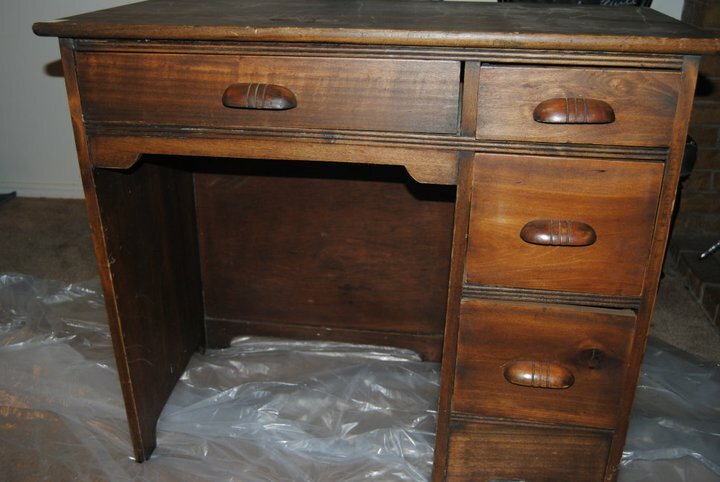 I removed the hardware and cleaned it up, and gave it a good ole coat of primmer. 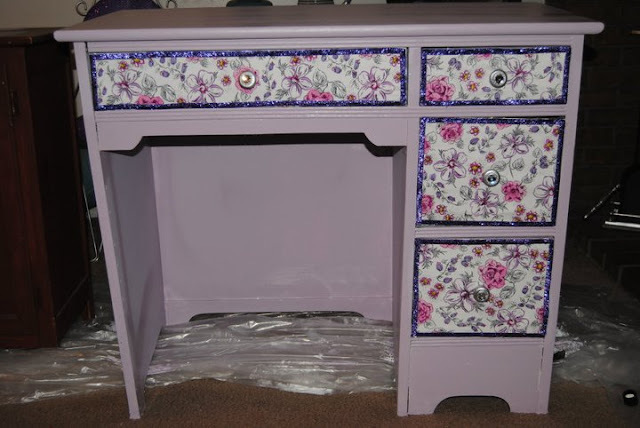 I then painted it this pretty light purple, because purple is the color of royalty.. 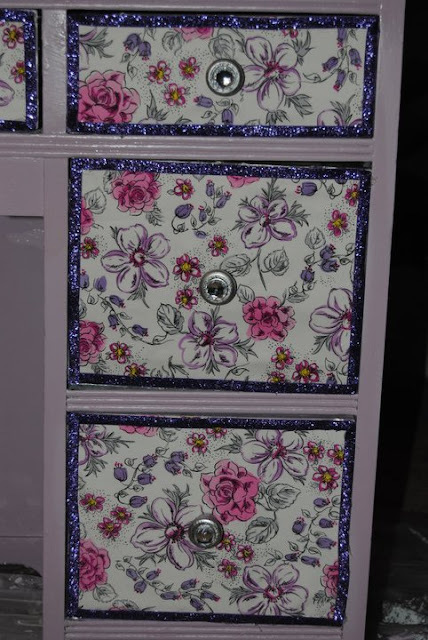 I then added a cute fabric on the drawer fronts and then added pulls I fancied up with a coat of silver spray paint and some rhinestones. Every princess needs a little bling! 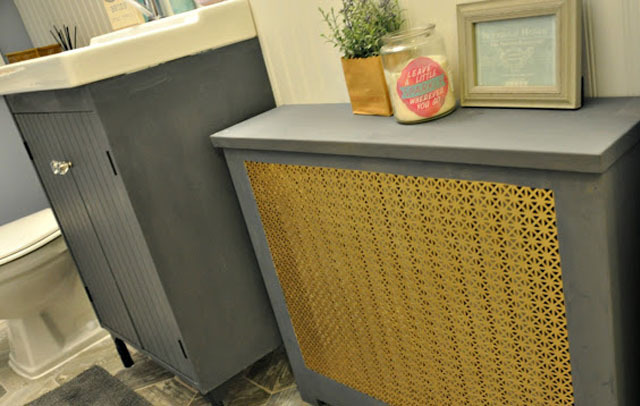 This is a great place for her to write, do her homework and be creative. She has a lot of brothers and sisters so this desk will be in her own room so she has her own private sanctuary. Some little princess is going to be so excited! !